Despite attempts to diminish, belittle and totally transform Native concepts, belief systems and values of leadership, strong leadership remains one of the most important assets in Native communities. American Indian leaders have held steadfast to tribal belief systems and values and fought for the preservation and perpetuation of Native identity, land and sovereignty. Leaders of Native nations today are still committed to these values. Native leaders still recognize that strong, ethical and innovative leadership from various sectors has the ability to transform American Indian communities. The primary goal of this paper is to provide a brief overview of American Indian leadership within an historical perspective, including what led to the development of tribal governments and Indian-led organizations today. 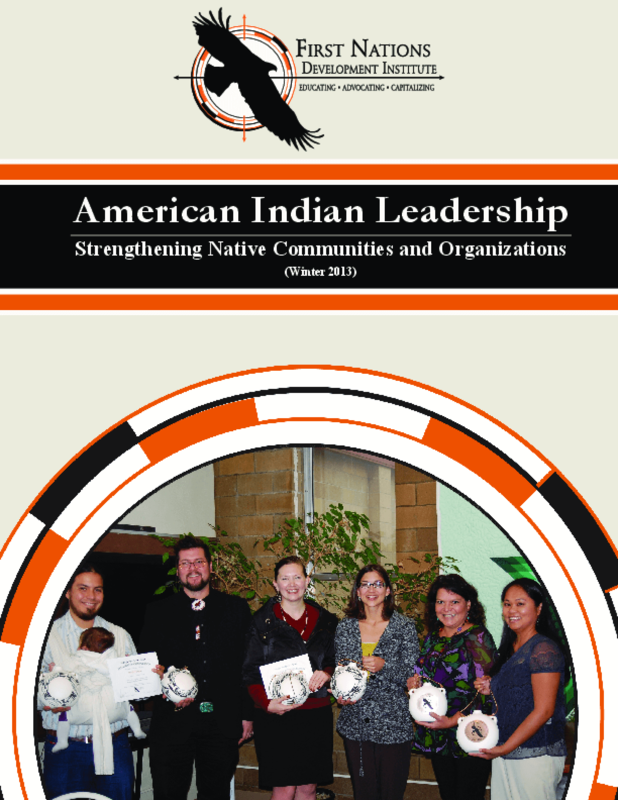 Drawing on data from more than 93 leadership programs, organizations and initiatives, this paper provides a summary of findings on the current state of leadership programs in Native communities. Based on these findings, this paper offers recommendations for proceeding with the development of Native leadership programs in American Indian communities.